It’s been a while since the UFC have visited Atlanta, Georgia—over six years, in fact. UFC 201 will be righting that wrong on Saturday and in some style, featuring imperious welterweight champion Robbie Lawler defending his crown against Tyron Woodley and a smattering of good fights across the board. Originally, it was a card which was set to feature two title fights. UFC flyweight champion Demetrious Johnson was due to defend his belt against slick Brazilian Jiu-Jitsu artist Wilson Reis, but the former had to pull out of the fight through injury. The flyweight division had another great fight between Justin Scoggins and Ian McCall scrapped just last night with Scoggins suffering some serious weight-cut issues less than 48 hours ahead of their contest. But, don’t fear. Fight cancellations can sometimes reap rewards and UFC 201 is no different. For instance, rather innocuous-looking contest between Claudio Silva and Siyar Bahadurzada went through the wringer and came out looking spotless. Silva pulled out of his fight on June 16th through injury and was replaced by Jorge “Gamebred” Masvidal—who fought Lorenz Larkin not so long ago. Then, the ever injury-prone Bahadurzada pulled out of his newly-minted fight against Masvidal citing an illness and was replaced by brawling Brit Ross “The Real Deal” Pearson—who fought against promotional newcomer Will Brooks during the long international fight weekend surrounding UFC 200 earlier in July. There is a recurring theme for the battle-hardened Pearson. The Real Deal has endured an indifferent, inconsistent run in his recent UFC career. Three solid wins over Paul Felder, Sam Stout and Chad Laprise have been punctuated by disappointing losses to New Yorker Al Iaquinta, Evan Dunham, Francisco Trinaldo and the aforementioned Brooks – the latter three all by decision. Pearson is perhaps a victim of his own success in carving out a flourishing career being a crisp yet fearsome striker. Stunning knockout victories over the likes of Ryan Couture and George Sotiropoulos have made opponents more than wary of the punching power of Pearson, leading to the opposition trying their best to nullify his biggest weapons by taking the fight to the ground to stall out a decision victory with a smothering, wrestling-based attack—case in point with the aforesaid losses against both Dunham, Trinaldo and Brooks. This frustration has led to Pearson taking on new opponents in quick succession to get over the disappointment of frustrating defeat. The Mackem says his spate of lost decisions is due to being a slow starter in his fights. Alternating wins and losses over his last nine fights, he feels his last three decision losses are due to only gaining comfort in a bout when it’s too late—so much so, he feels all fights should be five rounds instead of the standard three. Masvidal, Pearson’s dancing partner on Saturday night, has had similar accusations of being a slow starter levelled at him. A tough, gritty fighter with crisp, technical boxing skills, Gamebred has 11 knockout victories to his credit. However, 16 of his wins and 12 of his losses have come by decision and Masvidal has been on the wrong end of three split decisions from his last four fights—with two of those coming consecutively. He may have a point. Masvidal’s split decision losses have been controversial to say the least. 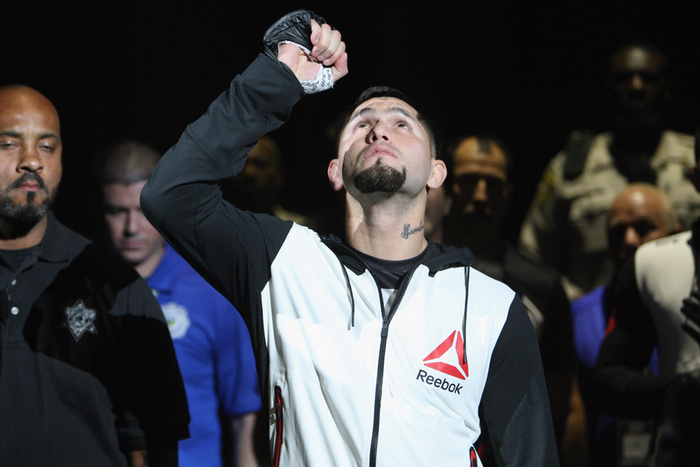 Despite smartly countering the rampaging Al Iaquinta throughout their three-round tilt, Masvidal lost a split decision. Despite pressuring the outgoing Benson Henderson for five rounds in South Korea, Masvidal lost a split decision. Gamebred’s last outing against Lorenz Larkin wasn’t the best we’ve seen from the experienced Masvidal, but, again, he lost a split decision. Both men may not be a fan of the judges all too much. But, their losses aren’t exactly indicative of their fighting spirit. 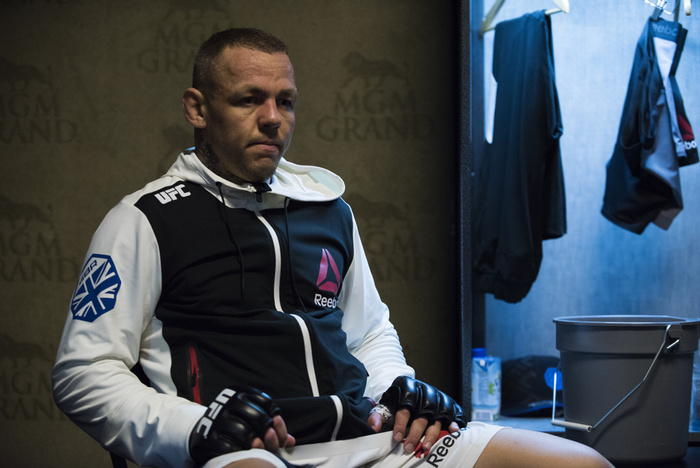 The combination of the two fighting at welterweight – Pearson’s debut in that division—is guaranteed fireworks. Encouragingly, Pearson agrees.